Tony has thirty years’ experience in the executive search industry. During this time, he has developed long standing clients across the technology, infrastructure and logistics sectors. Tony has successfully completed senior executive level search mandates for Australian and New Zealand based clients both in Australia and across the globe - including the USA, Europe and Asia. He has served a range of publicly listed as well as privately held large global firms and successful Australian and New Zealand businesses. Tony’s approach to partnering with a select group of clients has been to build mutual respect, strong relationships and ensure consistent performance. 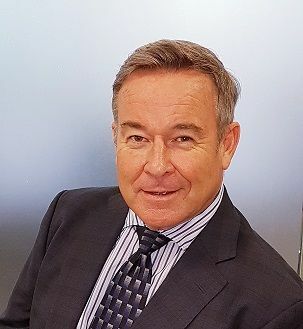 Tony’s career started in the technology sector with Databank Systems, which at the time, was the largest bank clearing house in the southern hemisphere. As one of three equity partners, Tony went on to play an instrumental role in the establishment of one of the largest technology recruitment firms in New Zealand. In the mid-1990‘s, he relocated from New Zealand to Australia in order to set up the company’s offices in Melbourne and Sydney. Over the last twenty years, the company has thrived, focusing its expertise across technology, infrastructure and the logistics sectors. Tony’s firm has recently merged with de JAGER Executive Search in order to add both breadth and depth to the client C Suite service offering. Tony has a Bachelor of Commerce from Victoria University in Wellington, New Zealand. He and his wife enjoy sailing and they compete in regular races on Sydney Harbour. They also enjoy chasing the snow whenever spare time allows.